Wincanton, the largest British logistics business, has launched Your Future, a new two-year training programme aimed at attracting more young people to the logistics industry. Your Future embodies the ‘Next Generation’ theme of this year’s RHA National Lorry Week, which took place last month to encourage more young people to consider the logistics industry as a viable career path, and to raise awareness of the key role that the industry plays in everyday life. James Tooze, a Wincanton site general manager, said: “Logistics is the life blood of the economy but when it comes to selling the industry to young people as a career option, there’s more the industry could do. Your Future has changed the career proposition that Wincanton offers young people. With training flexibility and personalisation incorporated from the start, the programme builds upon Wincanton’s award-winning and Ofsted accredited training provision and helps trainees develop a range of highly transferrable skills. 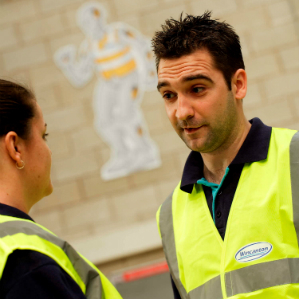 Following completion of the programme, trainees can follow a warehouse pathway that includes further management training, or a placement to the site of a major Wincanton customer. Alternatively, they can apply for a driving position following completion of a HGV license. Fellow trainee Spencer, 22, from Coleshill said: “I think the Your Future training programme can help me turn my potential into a successful career path. I was particularly attracted by the variety of the training and the range of transferrable skills it helps you develop. Initially based at the company’s Midlands site, the programme will be expanded in the coming months. It currently has 12 enrolled trainees and is scheduled to deliver its first cohort of skilled young people into the business by June 2018.